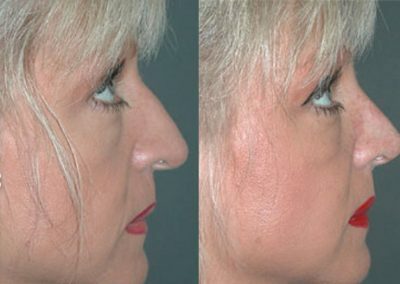 The nose should above all be one thing: inconspicuous: Facts about nose correction. An unattractive nose distracts from the eyes – this impairs the personal charisma. On the other hand, a beautiful nose creates a harmonious image and emphasises femininity or masculinity. 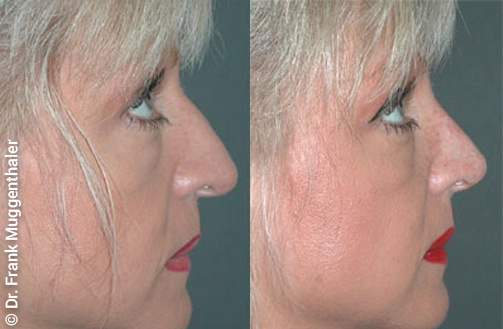 Although the nose only covers a small area of the face it is of enormous importance for facial beauty. 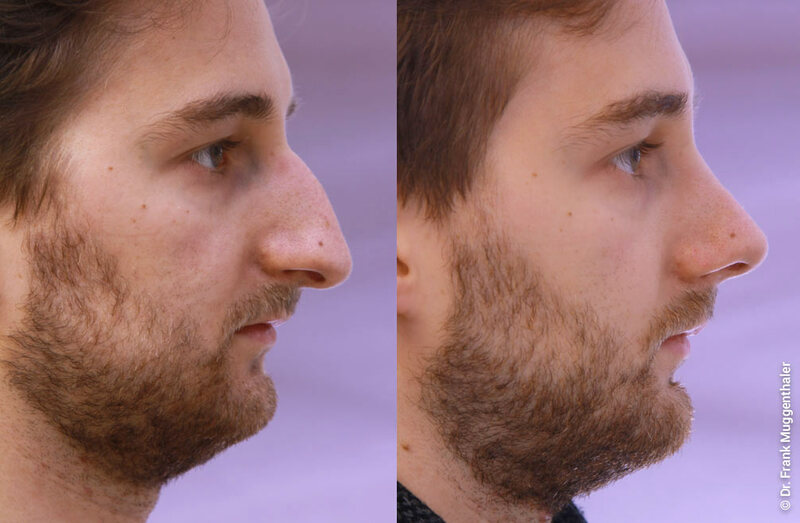 We treat both young patients who decide to have their nose corrected at an early age and people who have always suffered from their nose and wish to have a beautiful nose at a later age. 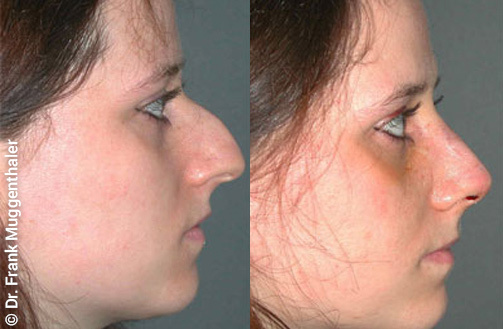 Dr. Muggenthaler gives your nose a harmonious shape that looks good and does not stand out as operated. The result is natural, because Dr. Muggenthaler, as an experienced facial surgeon, knows which shape fits your face perfectly. In addition to a harmonious shape, the nose should also function perfectly as a respiratory organ. If possible, we will also carry out an appropriate correction in this respect. 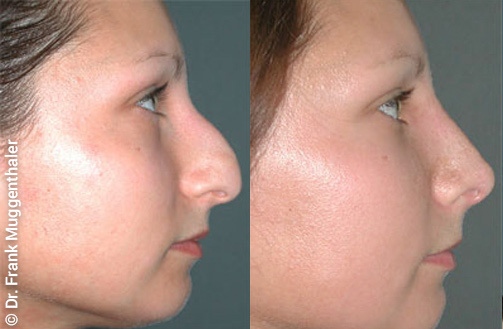 Especially nose corrections require an extensive consultation and visualization of possible desired outcomes. We deploy state-of-the –art computer programs for this purpose. 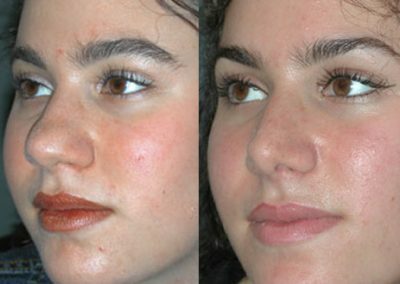 Visible and noticeable unevennesses that are not self-evident may require a limited amount of post-correction. In this complex correction, the cusp was straightened and the tip raised and stabilised. The narrowing and reduction of the tip of the nose gives the entire face a more harmonious expression. 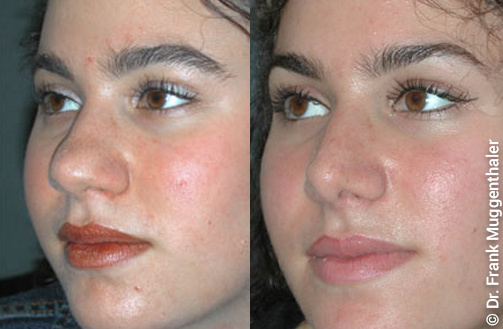 The removal of the hump and reduction of the nose makes the face appear more harmonious and feminine. The lifting of the sunken tip and the discreet removal of the small hump optimise the proportions and improve the harmonious appearance. In the patient, the nose was shortened and lifted, and the bump was removed. 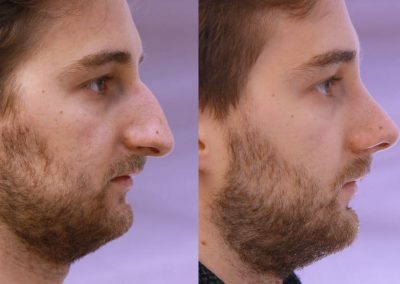 Is a computer simulation made before the nose correction? Yes, with the simulation on the computer a possible result can be represented. What type of anaesthesia is necessary for a nose operation? General anaesthesia is necessary for nose correction. Can I have a nasal cast? Yes, this will be removed after about 1 week. Can I breathe with the bandage? How long are tamponades laid? As a rule, the tamponade is removed a few hours after the operation. Slight swelling is possible, but disappears after seven days. Is nose surgery associated with a risk? If unevenness remain after the surgery, a minor follow-up correction may be required. 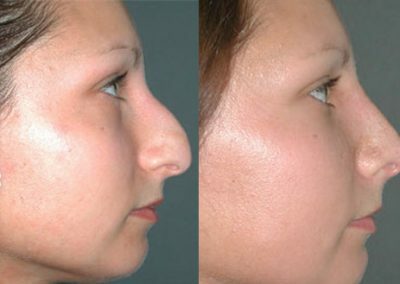 How long can I not work after the nose correction? After a week, the nasal plaster is removed. Then plaster strips are applied for another week. Thereafter, there is the unrestricted ability to socialise. 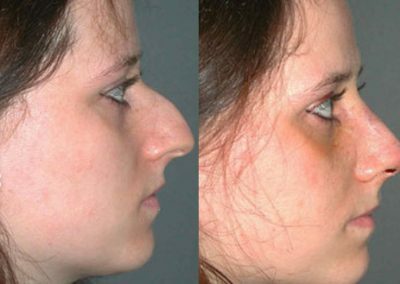 Does the health insurance pay for a correction of the nose? If a functional impairment is confirmed by a medical certificate, it is possible to cover the costs. 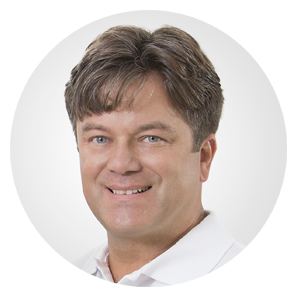 The most frequently asked questions about nose correction will be answered by Dr. Frank Muggenthaler on this page. Can’t find an answer to your question here? Then get in touch with us! We will answer all your questions, gladly in a personal consultation in our practice in Basel.